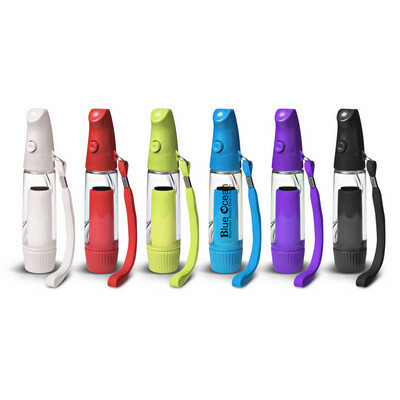 30 ml mini misting device which utilises the cooling power of evaporation to keep cool when the heat is on. Simply pressurise the container with the pump then push the button to spray a fine mist on face and arms etc. for instant cooling. A production lead time of 10 - 15 working days applies to this product. Colours: White, Red, Lime Green, Blue, Purple, Black. Dimension: W 38mm x H 152mm. Print Description: 12.5mm x 38mm (one colour). Print Type: Pad Print. Packing: Gift box. Less than minimum quantities are not available for this item. MOQ applies per colour on this item.. Price includes : Printing 1 Colour. Setup is included.